It’s that time of year again, Christmas is here and that means it’s the time for lots of food, parties, family fun, sparkling lights and festive decorations. But along with all of the gatherings, decorations and food, there is one decision that can often be a tricky one; deciding on what to wear. 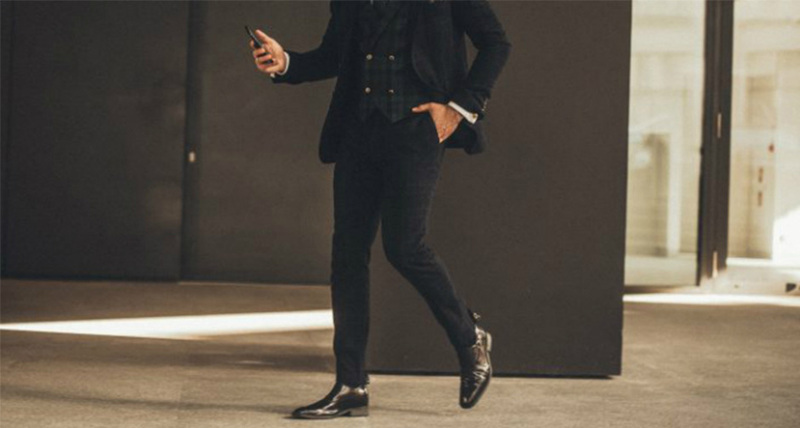 Some may say that men have it a little easier when it comes to choosing outfits for parties – suits are often the classic go-to wardrobe item. But sometimes it’s not just about the outfit, it’s the whole ensemble that can really make or break an outfit choice. For some shorter men, there can be even more of a struggle to find that ideal outfit to be able to accompany or dance with women in heels. The Christmas party season often means sky-high heels for women, so how do you compete with that? Elevator shoes can be the perfect accessory for occasions like this. These height increasing shoes can give you the extra height you need to be able to walk, talk and dance with women in heels, without the feeling of low self esteem or inadequacy. A good pair of Italian elevator shoes could make your Christmas even more enjoyable. The Providence elevator shoes are the ideal height increasing shoes for your holiday wardrobe. Featuring a beautiful soft brown calfskin leather upper with double buckle detailing, these stylish elevator shoes will look elegant with a range of outfits, from navy or gray suits to burgundy or navy chinos. Remember to keep your suits slim fitting with narrow legs in order to help make you look slimmer and taller. These chic elevator shoes can increase your height by up to 3.1 inches, so you can party with ladies in heels and still feel confident. If you’re looking for a comfortable shoe that can increase your height as well as keep you on trend this Christmas, the Derby could be it. It can be perfect for family dinners, lunches, trips to the city lights and cozy hot chocolates beside the Christmas tree. With a gorgeous blue suede and tan leather upper, these elevator shoes are ideal for wearing with both brown or navy chinos or slacks. A wool sweater will also look great with these shoes. No matter what you’re doing this Christmas season, luxury handcrafted Italian elevator shoes can give you just the boost you need to enjoy it to the full. Merry Christmas and happy holidays!